BGCA Native Services is grateful to our program partners, who provide critical support so that we may provide youth development programming to thousands of Native youth each year. 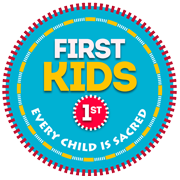 The College Fund, through its commitment with BGCA, will provide $100,000 in scholarship dollars annually over the next five years exclusively for qualified Boys & Girls Club members to attend tribal colleges and universities (TCUs) in the immediate proximity of their Club. Students must apply and be accepted into a TCU to be considered. Upon acceptance, the scholarships are renewable annually as long as students meet the college’s eligibility requirements. A Memorandum of Agreement (MOA) between BGCA and its local affiliates in Indian Country and the Bureau of Indian Education (BIE), will allow collaboration to enrich the lives of Native youth, by supporting programs that discourage violence and drug abuse, while encouraging good citizenship and educational accomplishments. 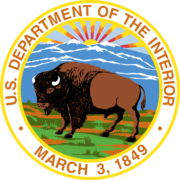 The goal of this partnership is to use the strengths and expertise of both organizations to improve and enhance the educational well-being of American Indian/Alaska Native (AI/AN) youth attending BIE funded schools and dormitories. IHS provides funding for the type 2 diabetes prevention program On the T.R.A.I.L. (Together Raising Awareness for Indian Life) to Diabetes Prevention program. T.R.A.I.L. is an innovative combination of educational, physical, and nutritional activities that provides youth with a comprehensive understanding of healthy lifestyles with the long-term goal of preventing and/or reducing the onset of type 2 diabetes. Woven throughout the 12 week program are self-esteem and prevention activities utilized by BGCA, including contributions from national evidence-based programs such as SMART Moves. Club members draw from Native traditions and history to learn about nutrition, food choices, media influences and the impact of type 2 diabetes. BGCA and the National Recreation Foundation (NRF) are teaming up to bring baseball and softball leagues to youth on Native lands. The $15,000 “Fielding Dreams in Indian Country” grant will promote healthy lifestyles among Native youth through team sports. NRF is dedicated to enhancing the role of recreation as a positive force in improving the quality of life of youth by investing in recreation programs. This 2 year partnership aims to expand the number of Native Clubs delivering workforce development programming to Native youth and ensure that Native Clubs can deliver the highest-quality Club Experience by providing an assessment tool that sets Clubs up for continuous improvement. Our goals are to increase Clubs capacity to provide high-quality Workforce Development programs, guiding Native youth to develop 21st century skills and a clear vision of their future career goals. The project meets the Foundation’s funding priority for increasing good jobs though development and training that helps to prepare individuals with low incomes for successful futures. Novo Foundation’s initiative seeks to help restore and strengthen indigenous knowledge and life-ways as potentially transformative in addressing some of the world’s—and similarly, some of Indigenous communities’—most pressing problems. Through this 3 year partnership, Novo and BGCA Native Services will work together to improve the ability of our Native organizations to build and sustain strategic partnerships and key stakeholders through culturally relevant services, youth development programs adapted for Native youth that are driven by outcomes and leadership trainings for Club staff and Board Members. The U.S. Department of Justice’s Office of Justice Programs (OJP)’s Office of Juvenile Justice and Delinquency Prevention (OJJDP) supports BGCA through grants that allow us to strengthen, expand, and implement youth mentoring activities and youth development programming. The aim of Red Nose Day is to bring about real and lasting change by tackling the root causes of childhood poverty and social injustice through the power of entertainment. 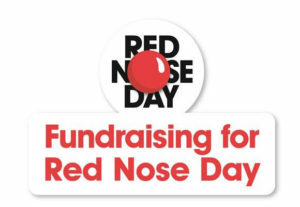 In 2015 and 2016, BGCA Native Services received proceeds from Red Nose Day, which will be used to build capacity and support increases in average daily attendance in Native Clubs. Verizon has partnered with BGCA on My.Future, a joint project in support of Native Clubs and Bureau of Indian Education (BIE) Dormitory Schools. Through this project, trainers from Boys & Girls Clubs work with BIE Dormitory parents and staff to utilize Nokia tablets with BGCA programming. Through the ConnectED program, Verizon has already established wireless broadband connectivity at eight of 10 (BIE) Dormitory Schools and will provide free wireless data service to students for 2 years. The Walmart Foundation has provided funding to support Healthy Habits, BGCA’s outcome-driven nutrition education program for Native youth. This program addresses the fact that Native youth face much higher rates of diabetes than their non-Native peers by providing access to nutritional education. Healthy Habits is focused on basic cooking techniques, smart food shopping, working around resource constraints and using resources from the local community to create healthy meals.